Incoming exhibitions, events, happenings, publications. 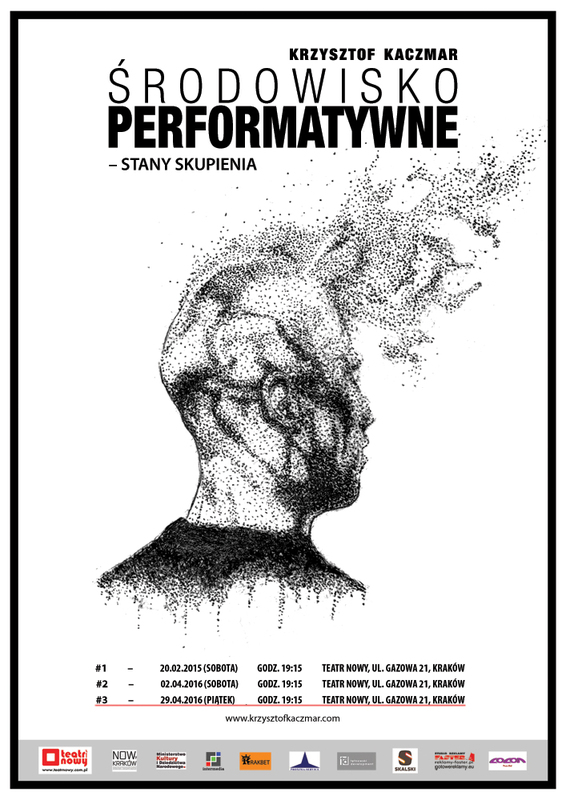 „Performance Environment – the state of the matter” is a title of the third project of the Performance Environment cycle, realized in the New Theater in Krakow. Undertaken actions aim to deepen the material and symbolic characteristics of the space and to bring out new methods of how they can be used as the tools of communication with the audience. 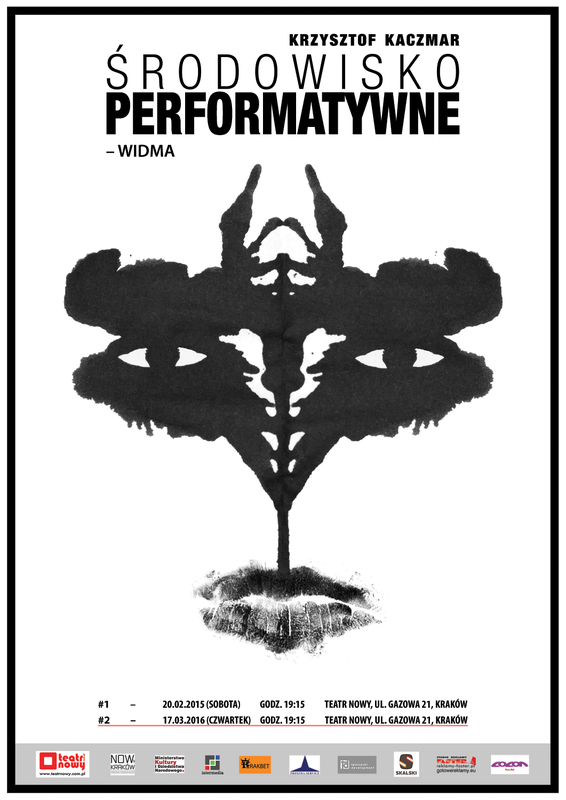 Performance Environment seeks the harmony between the action, space and audience, whose mutual relationships should naturally flow from the human need of experimentation and expression, and not only be dictated by the cultural conventions of behavior. „The Spectrum” is a title of the second project of the Performative Environment cycle, realized in the New Theater in Krakow. Undertaken actions aim to deepen the material and symbolic characteristics of the space and to bring out new methods of how they can be used as the tools of communication with the audience. „The Spectrum” project will be build on a space of the theater stage, which will become the subject of the action and installation. Below: video report on the Performative Environment – the Spectrum and interview. “The Performative Environment – the fertile shiver of presence that pierces throughout the stage”, is an experimental project that aims to explore the physical and metaphysical properties of spaces and use them to make contact with the audience. Installation art is the center of event as a type of symbolic totem. Siimultaneously is a subject, a target and a tool that can influence happenings around it. Performative environment seeks the harmony – the natural relation, between action and space, which is a natural result of human need of expression, and not a product of any cultural convenanses. It is a laboratory of relationships between participants, author and the space of the project. Scenography, live video streaming and visual identity for the theater performance entitled All teddy bears like honey in the New Theater in Krakow. Exhibition Automatism and interval in Salonik Sztuk Rozmaitych Bazyliszek in Bielsko-Biała, Poland. It consists sequences of photographs and photo stencils, which were use to produce a short experimental film – also presented withing the vernissage. 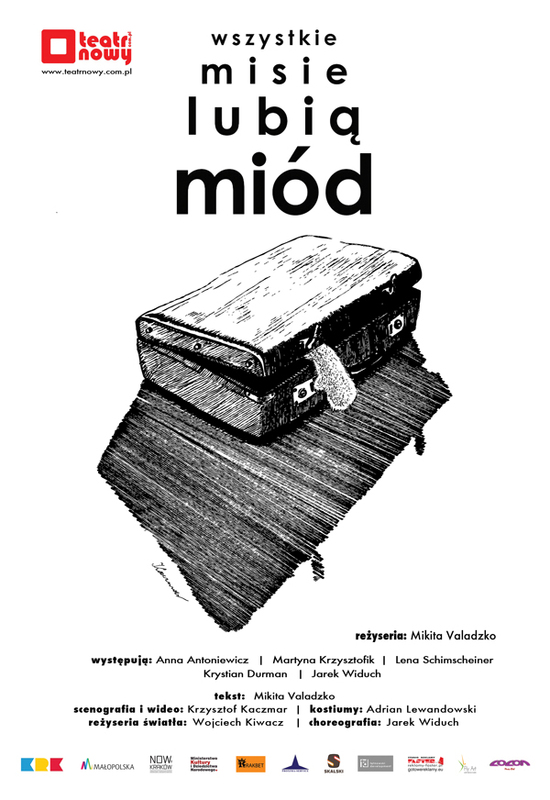 Offical distribution of Nowy Kraków scholarship, held by Teatr Nowy in Kraków, Poland. Presentation Static and dynamic photography. I will tell about different methods of how I use photography in my works – as a fundament or just a component. Basement of Sułkowski Castle, Bielsko-Biała (Poland). International student one evening exhibition and performances Cross point Galeria Opcja, Krakow (Poland). Performance Identity motion within the International Festival of Ephemeral Art the Contexts, Sokołowsko (Poland). Project Experiences of the honeydew consciousenss presented within International Festival Poetry in visual, in the gallery the Museum of Aveiro (Aveiro, Portugal). Happening Inside out, The Shining exhibition within the Krakers festival, Cellar Gallery (Krakow, Poland). Publication and interview in ART Habens Magazine (pages 18 – 33).